The life of someone who is consciously moving forward on a chosen path is one that is always in transition, as they move forward through their Dharma/Karma. If you are a dedicated rhythm event facilitator, this statement may not be such a big revelation to you, as this profession is based on following and then sharing your bliss. 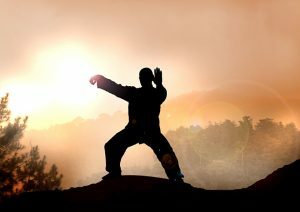 The 108 positions in the moving meditation martial art called Tai-Chi Chuan are “markers” in a continuous progressive flow of movement from one position to – and through – the next. I would call these “markers” Transition Points. 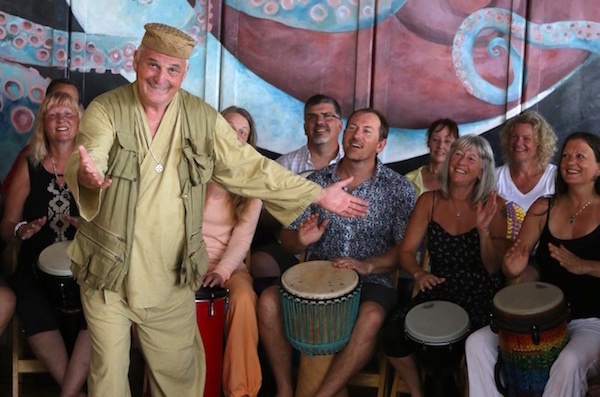 Transitions points are encountered in a facilitated recreational drumming event just as transition points are met within your own life process. A transition point is an experience, or group of incidents, that creates a big learning opportunity that helps me move further into my life in a positive way. I have been on this “mission” long before I knew what a mission was. Through the process of trial and error, education, mentoring, transition points and re-evaluations, along with dogged determination, I have uncovered, discovered and recovered my true passion and bliss, so I could follow it and share it with others. Along the way it turned into a career path that I have been following and developing for over half-a-century. This path that has been amazingly rewarding to me and very profound in so many ways. 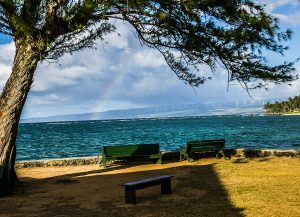 The green bench at the Hawaii Playshop, portal to many transitions! I am assured that this is also true for many of the thousands of people who have gone through the VMC Facilitator Playshops, which have often become transition points in their own lives. Organizations go through transitions, too, and Village Music Circles has entered a big one this year. I am excited about the evolution of the Hawaii Facilitators Playshop, and our new Train-the-Trainer program, where participants will learn how to hold their own weekend DCF trainings in their communities. 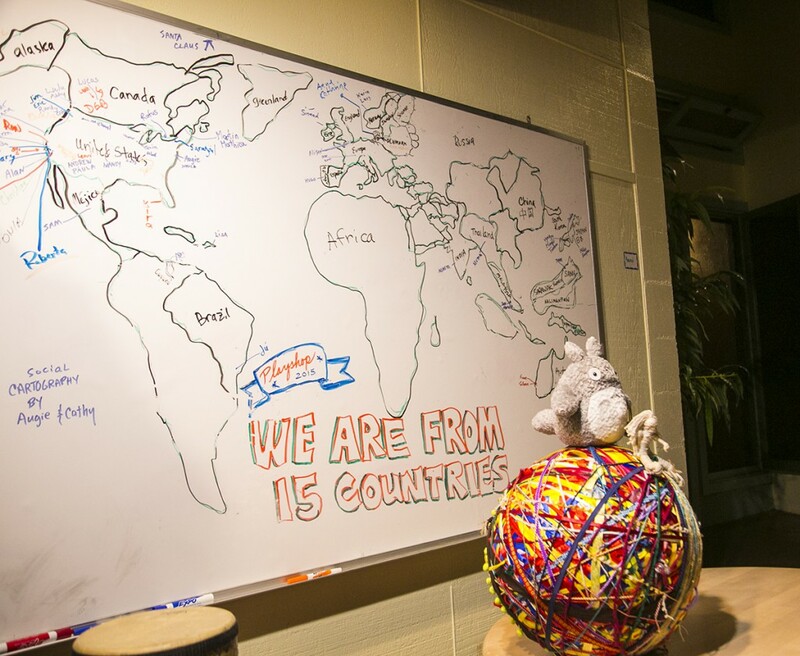 With 90 attendees from 15 countries, the 2015 Hawaii Facilitators Playshop was a great celebration of 20 years of facilitator trainings in paradise. It was a fertile time to imagine “What’s Next?” in the evolution of the community and learning legacy that is so cherished by us all. 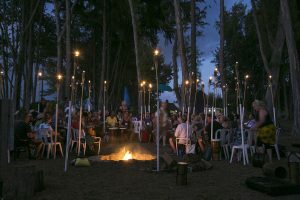 What would it look like, we asked, to create an immersive experiential week that keeps the touchstones of our Hawaii tradition, and adds more diverse learning opportunities that stretch everyone in their art of drum circle facilitation? In other words, even if you’ve been to Hawaii before, this year will be a whole different experience to boost your career even further. Late Night circle. Photo by Michael Taylor. This comprehensive development professional program will be taught by VMC Faculty consisting of Jim Boneau, Mary Tolena, Cameron Tummel and myself. And rest assured, we’re keeping the most beloved aspects of the VMC Hawaii experience, including Jump Time, Open Space Sharing, Find the (W)hole, swimming with the turtles, and of course, Late Night. 10-day Mentor Leadership Development Experience (connected to the 6-day program, and only in Scotland this year). For the last 25 years, the 3-day VMC Facilitators Playshop training has been taught around the world exclusively by me. It’s time for that to change! We are now developing a Train-the-Trainer (TTT) program to be taught in late in 2016 or in the spring of 2017. The program will empower and certify people who have demonstrated dedication in their skill development, and in furthering this work with VMC, to produce their own 3-day Facilitator trainings in their regions or countries. As part of our TTT curriculum development, the first 3-day Playshop not taught by me will be in Seattle in April, taught by my long-time curriculum partner, Jim Boneau. I will be there, but I will just be taking notes while wearing duct tape on my mouth. March & April: 3-day Playshops in Miami, San Francisco Bay Area, Seattle (taught by Jim Boneau). Seattle World Rhythm Festival April 8 - 10. For the first time in many years, I will add “Drumabout” tours to my time in Japan this Spring, and Germany in the fall. I will be visiting at least 6 cities in each country, doing small rhythmical evangelism events and drum circles while visiting and mentoring VMC students and their recreational drumming communities. 10 years ago, I went on a 2006 'Global Drumabout’ tour, literally going around the world from the U.S. to Europe to Asia to home, in one long trip. The whole tour was a big transition point in my career. Starting with the 11th Hawaii Playshop, it embodied the transition from the “Arthurian” eccentric presentation style to the collaborative community input style that we have today. And as I reflect on the changes coming, always for the better, I am also reflecting on the transition points of the past that have lead me to this point in my life. I am looking forward to this year of transition for Village Music Circles and for myself. As I reflect back on some of the more profound and life-changing transition points in my past, I ask you: What were the two or three most life-changing transition points in your history?